Pre-made reagents prepared with high-purity chemicals for ease of use. 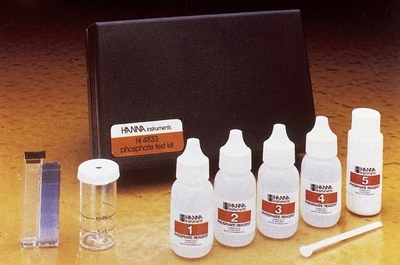 Hanna Instruments™ Chemical Test Kit Replacement Reagents are pre-measured for fast and accurate titrations using the appropriate Hanna Chemical Test Kit. These high quality reagents are manufactured in Hanna&apos;s state-of-the-art facility and are clearly marked with the lot number and expiration date on each packet/bottle for traceability. Replacement titration reagent sets provide significant cost savings compared to purchasing an entirely new Test Kit.